Dr. Jumnah Thanapathy, M.D., F.A.C.O.G. Dr. Jumnah Thanapathy, M.D., F.A.C.O.G. is a highly-respected board-certified OB-GYN specializing in both clinical and cosmetic gynecological procedures and anti-aging treatments for both men and women. She completed her medical training at Stanford University School of Medicine, is a fellow of the American College of Obstetricians and Gynecologists. She currently serves on the Board Quality Committee at St. Louise Regional Hospital. Dr. Thanapathy is committed to staying on the forefront of modern gynecological procedures to provide the best possible techniques for her patients in Gilroy California. Her office in Gilroy offers a staggering array of advanced medical and cosmetic treatments, most of which Dr. Thanapathy performs herself. With over 25 years of experience providing clinical care for her patients in Gilroy the skilled surgeon and mother of two has won numerous patient choice awards for her outstanding service and bedside manner. In her free time, she enjoys gardening, cooking, and music. South County Med Spa & Wellness is a leading medical practice offering cutting-edge cosmetic procedures and women’s and men’s healthcare services for patients in Gilroy California. The Gilroy office specializes in women’s health and gynecology, along with regenerative and rejuvenating procedures for both men and women, including IV Therapy and Bioidentical Hormone Replacement Therapy. Patients enjoy the modern, comfortable atmosphere of a luxury med spa while benefiting from the skill and knowledge of a highly trained medical team. 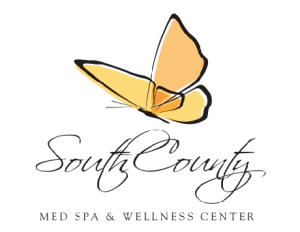 South County Med Spa & Wellness is one of the few remaining solo practices in Gilroy meaning both inpatient and outpatient procedures are performed by Dr. Thanapathy herself, creating a seamless medical experience for patients. Non-surgical cosmetic procedures are also performed by talented licensed esthetician Janu Goelz, who specializes in many advanced cosmetic techniques, customized to each patient’s unique goals and skincare needs. The practice takes pride in providing state-of-the-art patient care that is on time, friendly, professional, and enjoyable. There are many benefits to Bioidentical Hormone Replacement Therapy. Hormone therapy can help restore normal hormone function and health. Bioidentical hormones have the exact same chemical structure as naturally produced hormones, so the body treats them exactly the same as if they were its own. To learn about how Bioidentical Hormone Replacement Therapy for menopause and andropause can benefit you, call Jumnah Thanapathy, M.D. at South County Med Spa & Wellness Center in Gilroy California today! With over 25 years of medical experience, Dr. Thanapathy is an expert at discovering exactly what you need to be your best self. 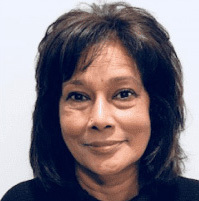 Call Gilroy’s Bioidentical Hormone Replacement Therapy Doctor Jumnah Thanapathy, M.D. at South County Med Spa & Wellness Center for a consultation today!